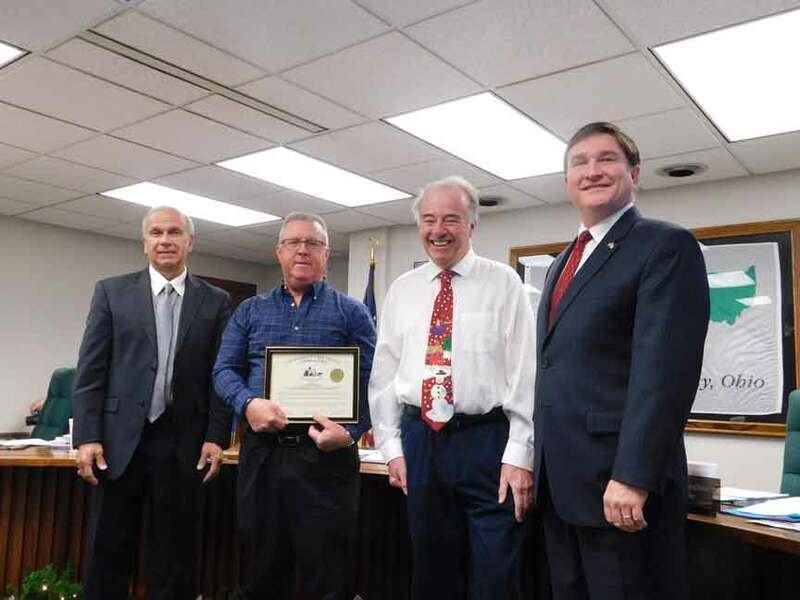 PAINESVILLE - The Lake County Board of Commissioners recognized and commended Dennis Jakse, county fleet manager who is retiring, for his 36 years of service to Lake County at the Dec. 20 Board of Commissioners meeting. Commissioner Dan Troy read the resolution which noted Jakse was promoted to fleet manager with the Lake County Department of Utilities in June 2014. “His skills and his talents are deeply appreciated by all that have benefited from his expertise throughout the years,” the resolution stated. Madison Township Trustee Ken Gauntner, who was present at the meeting, had served as county administrator for 21 years. He said Jakse brought things under control in the department and saved the county much money by reducing the number of county vehicles, having things done more efficiently and in a more up-to-date manner.